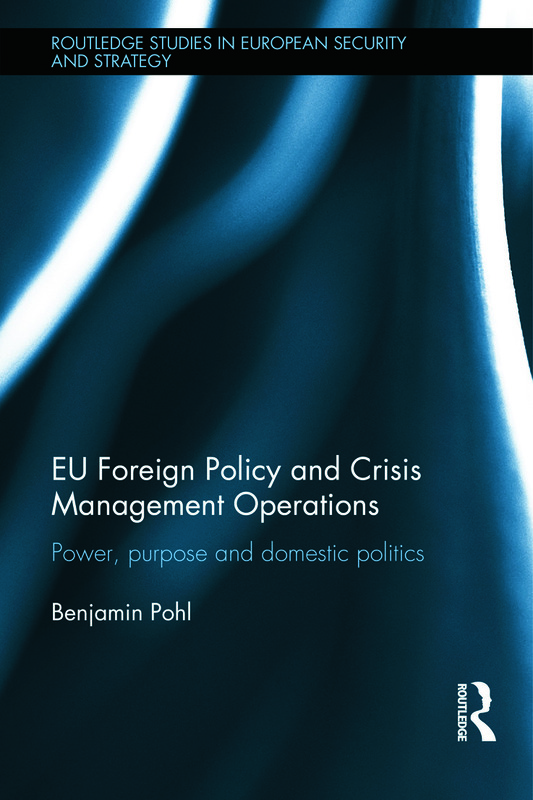 This bookexplores the drivers of the EU’s recent forays into peace- and state-building operations. Since the Union’s European (now Common) Security and Defence Policy (ESDP/CSDP) became operational in 2003, the EU has conducted more than 20 civilian and military operations that broadly served to either deter aggression in host countries, and/or to build or strengthen the rule of law. This sudden burst of EU activity in the realm of external security is interesting from both a scholarly and a policy perspective. On one hand, institutionalised cooperation in the field of foreign, security and defence policy challenges the mainstream in IR theory which holds that in such sovereignty-sensitive areas cooperation would necessarily be limited. On the other hand, the sheer quantity of operations suggests that the ESDP may represent a potentially significant feature of global governance. In order to understand the drivers behind CSDP, EU Foreign Policy and Crisis Management Operations analyses the policy output in this area, including the operations conducted in the CSDP framework. Up until now, many studies inferred the logic behind CSDP from express intentions, institutional developments and (the potential of) pooled capabilities. By mining the rich data that CSDP operations represent in terms of the motives and ambitions of EU governments for the CSDP, this book advances our understanding of the framework at large. This book will be of much interest to students of European Security, EU policy, peacebuilding, statebuilding, and IR.